This view of Saturn's moon Rhea shows the tremendous bright splat that coats much of the moon's leading hemisphere. 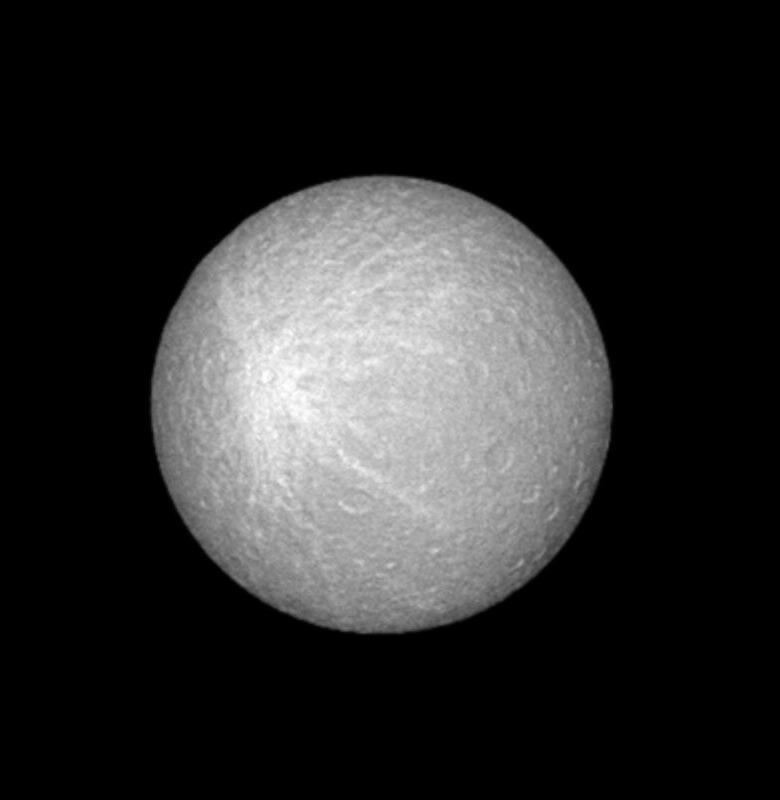 The bright feature may be impact-related and is visible in other Cassini images of Rhea (see PIA07539 ). Rhea is 1,528 kilometers (949 miles) across. North on Rhea is up in this view. The image was taken in visible green light with the Cassini spacecraft narrow-angle camera on June 25, 2005, at a distance of approximately 1.1 million kilometers (700,000 miles) from Rhea and at a Sun-Rhea-spacecraft, or phase, angle of less than one degree. Resolution in the original image was 7 kilometers (4 miles) per pixel. The image has been contrast-enhanced and magnified by a factor of two to aid visibility.